The building materials selected for a structure play a big role in energy efficiency and ease of construction, especially in rural areas. To achieve these goals in Indian Country, architect Mike Laverdure of DSGW and First American Design Studio, is using insulated concrete forms, or ICF, for construction of many Native owned projects. 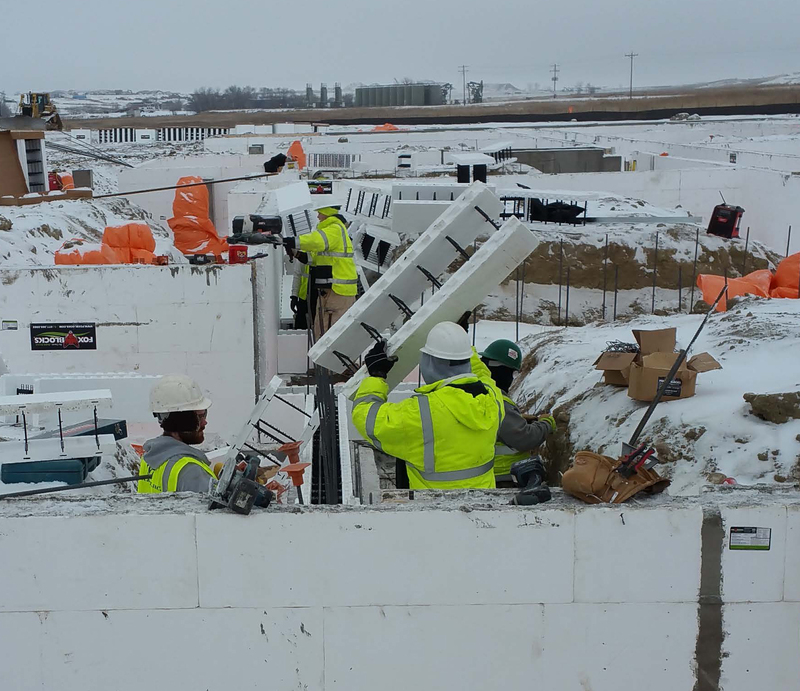 Local laborers install insulated concrete forms for the Red Hawk Estates project in New Town, North Dakota. Modular and easy to install: Finding experienced tradesman to work in remote areas can be challenging. To ease this demand, Tribal members can be trained to install insulated concrete forms and do not need previous tradesman experience. Energy efficient: The thermal mass of ICF reduces peak energy demand which meets LEED, Energy Star, and Net Zero requirements. Cost effective: The structure can be built quickly and will have long-term building performance payback advantages. As a commitment to collaborating with our clients and partners, Mike recently spoke at the Minnesota Concrete Council conference in Minneapolis, Minnesota. He described how the implementation of ICF is a key construction method used in developing energy efficient buildings in Native American Communities. 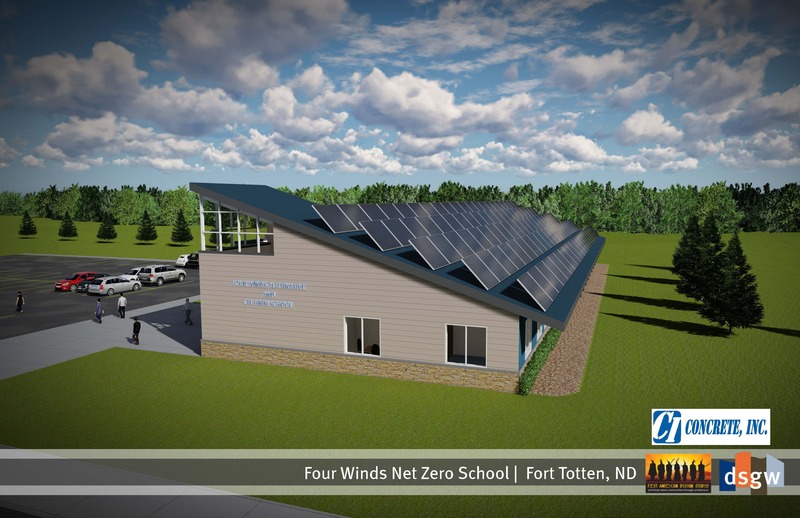 If you would like to learn more about Net Zero schools for your community, email mike@firstamericandesignstudio.com and we will gladly set up a presentation.